So pretty and so cottage chic!! 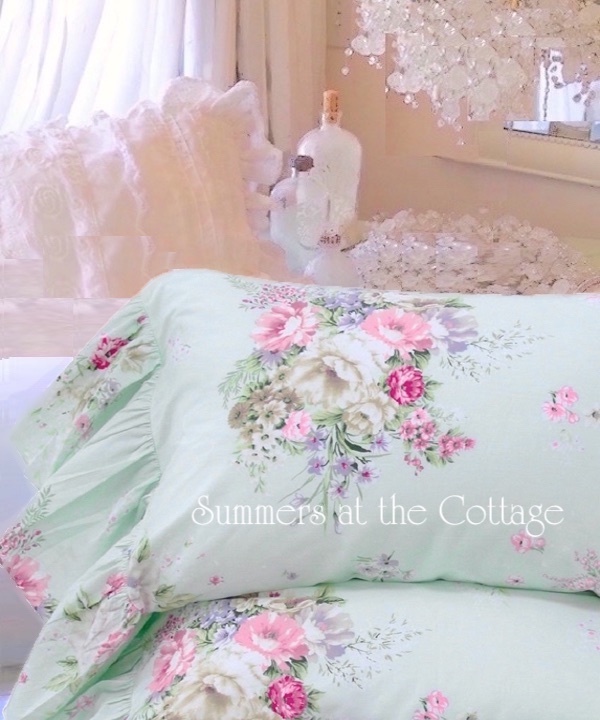 With the softest aqua mint background adorned with pink roses, lavender wildflowers, and a variety of cottage flowers! 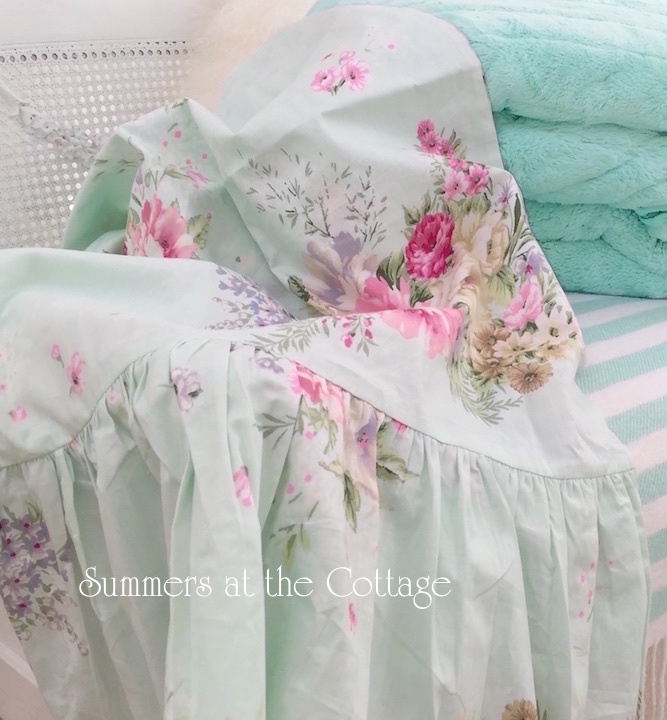 With a big ruffle at the end this is truly cottage chic! 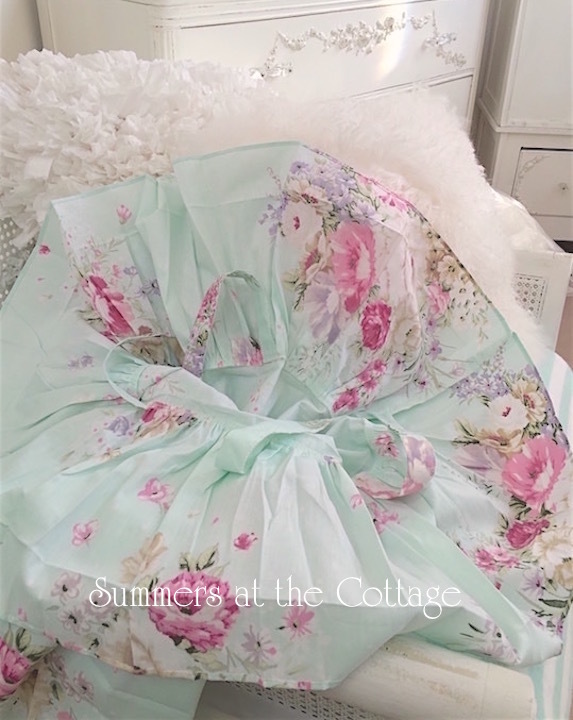 The big ruffle is so wonderful and drapes down the side of the pillow for such a pretty feminine design. Standard pillowcases measure 20 x 28 inches with an additional 9 inch ruffle. King Pillowcases measure 20 x 36 inches with an additional 9 inch ruffle. Each pillowcase has 4 pretty matching ties inside to hold in the pillow in place! 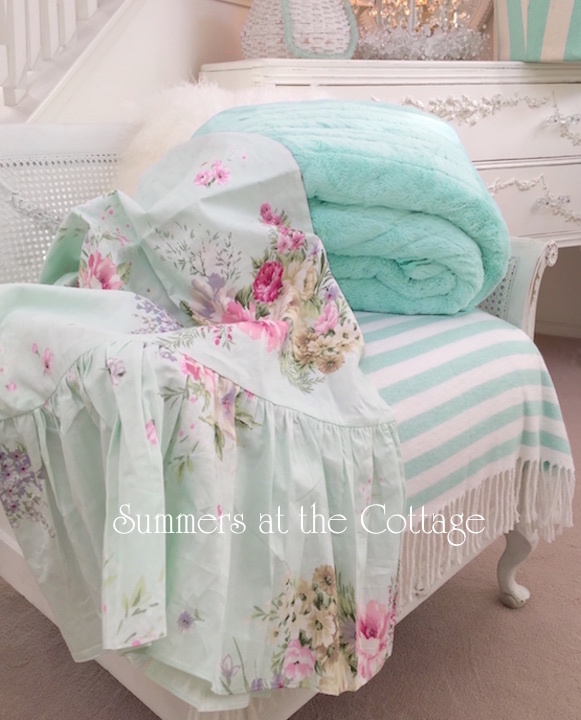 The gorgeous aqua mint color coordinates with any cottage bedding for a touch of added color. A perfect accent for a beach house, cottage, shabby chic, or romantic home! We love using a variety of pillows on our bed, a favorite white wicker chair or settee and wonderful accents for your bed or overstuffed shabby chic chair or sofa. 100% soft cotton and machine wash and dry.